Expert tea blenders taste and choose each individual tea that goes into the blend. Passion, bordering upon obsession for the freshest and most tasteful product. That has been the pursuit of Ringtons for over a century. “Renowned for Strength and Purity” has been a catch phrase since before my grandparents drank Ringtons. And not without good reason. Ringtons tea really is different. It’s Unique. This stems primarily from selection, and developing excellent relationships with some of the finest producers in the best tea growing areas of the world. When you select the best, it makes sense to treat it with the respect that it deserves. On the estates, as soon as the teas plucked and selected for the “Everyday Range” are processed into as fresh as you can get “out of the earth tea” it is vacuum packed for transport to the factory in England. In keeping with the times, Hi-Tech is instrumental in ensuring this freshness is transferred to your cup. Kept sealed until ready for consumer packaging, in a seamless system, the bulk tea is opened, checked for any impurities, and sent for immediate blending. 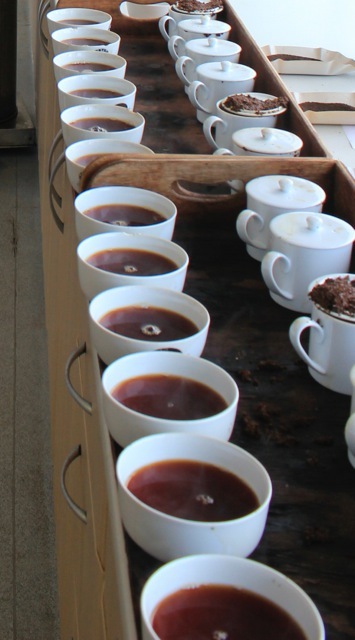 Quantities are carefully checked and recorded as the teas are blended according to taste and strength. The newly blended loose tea barely has time to settle before it is directed for measuring into teabags. Mere seconds pass prior to the teabags being placed in the foil packages, and here is where Ringtons really surpass other brands. Prior to sealing, the foil packets, and contents in all of the “Every Day” teas, are flushed with nitrogen gas, and sealed in this nitrogen rich atmosphere. By preventing oxidization (the process which lets food go stale), the state of freshness is naturally preserved, sealed in until opened for consumption. 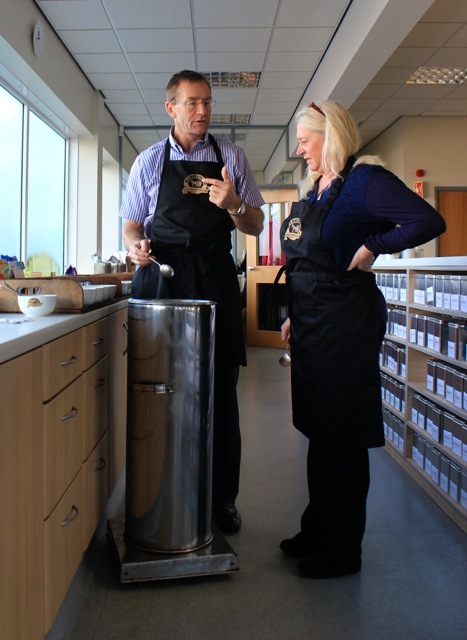 This is what makes Ringtons unique, no other teas are handled this way. Flavor and fragrance are maintained, and there is no staleness or cardboard taste delivered to your cup, just the pure, fresh taste of your favorite blend. The care shows, the product is exceptional, and tea drinkers when they taste it, recognize the difference. Includes our Extra Fresh and Original families, all premium blends, and with the exception of our strong loose tea, Northumbrian Blend, conveniently packaged in individual tea bags. Second to none for freshness and flavor and color, these fine authentic British Teas are natures own perfect energy drink. Includes green and herbal teas with zesty tangs of orange and lemon. Pure peppermint and pure camomile also compliment this range. Includes specialty teas from all over the world, and incorporates the finest of aromatic, black, green, white and yellow teas. Lovers of herbal and fruit teas will take delight in the freshness, strength and flavor of these blends.